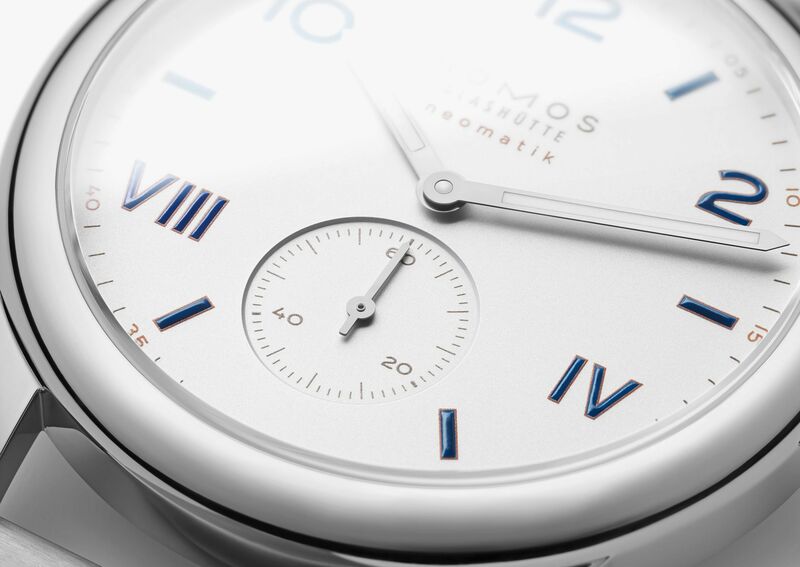 The Nomos Club Campus Neomatik reference 765 was introduced in 2019. 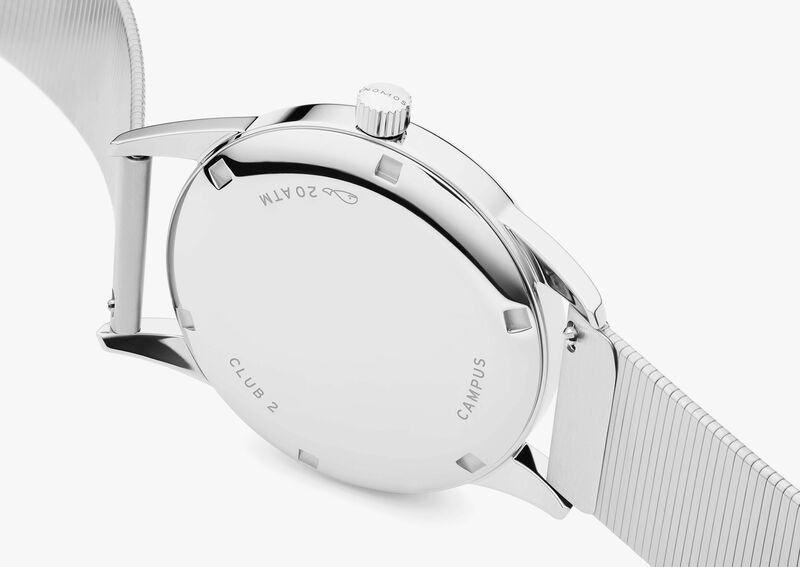 It features a stainless steel case of 39.5mm -2.5mm larger than earlier Club Neomatik models- and a blue-on-white Campus-style dial. 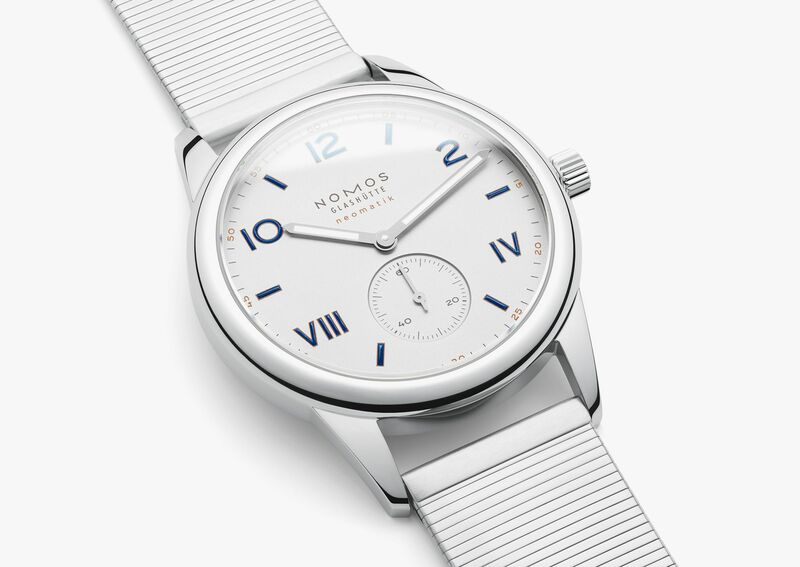 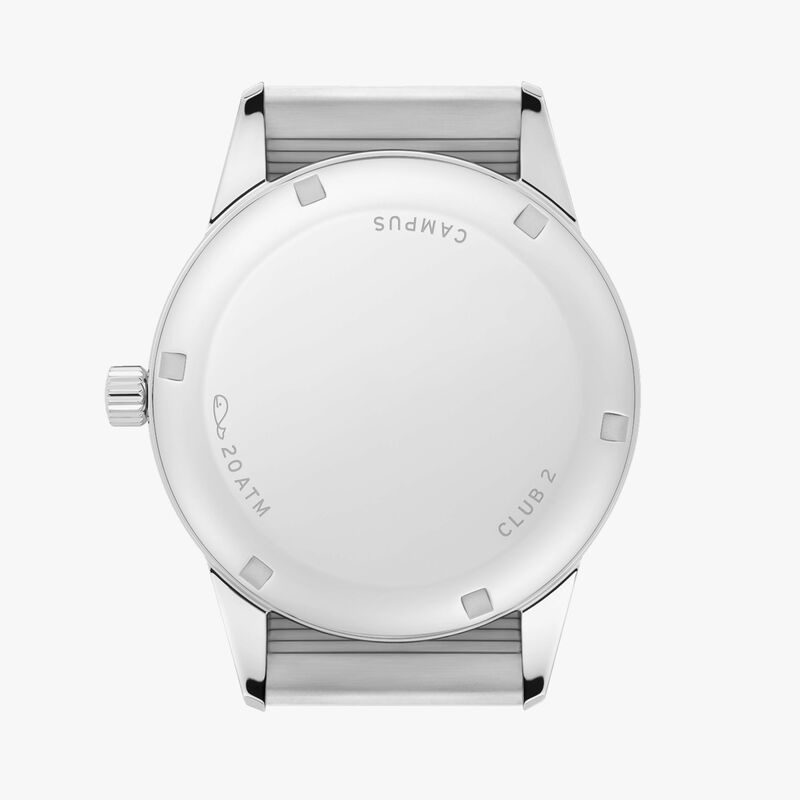 It is fitted with a stainless steel bracelet, which is a first for NOMOS.